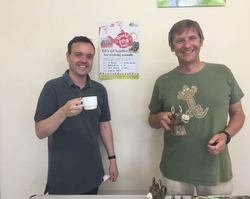 The Bedwell Residents Group raised over £100 for the charity SPANA at a special World Tea Party with Stephen McPartland, Member of Parliament for Stevenage. By transporting goods and people, these working donkeys, horses, camels and elephants play a vital role in supporting the livelihoods of millions of the world’s poorest families. However, without SPANA, they often have no access to veterinary care, or their owners have no means to pay for it. 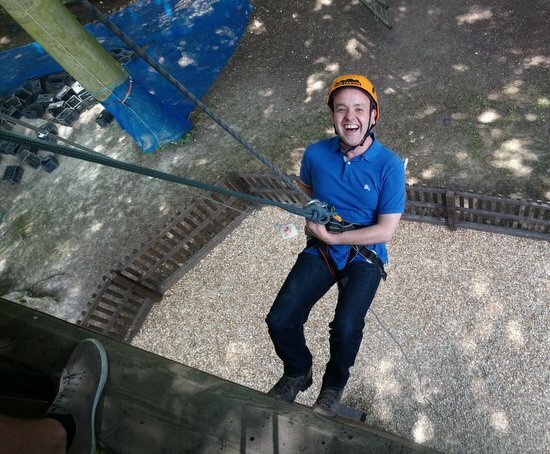 Stephen McPartland, Member of Parliament for Stevenage, made a sponsored abseil as part of Stevenage Explore Scouts Jamboree fund raising efforts. The first £1,000 will go towards their trip of a lifetime to America and the rest to Garden House Hospice. Stephen McPartland MP said, "I am not a great fan of heights, but really enjoyed the abseiling and had fun. However, they challenged me to do the Leap of Faith, which is over forty feet up a ladder and quite intense. You have to jump into the air and grab a swing, which most people miss, before being lowered to the ground. Fortunately, I managed to make it on the first attempt, so I did not have to do it again. It is all for a great cause and the Scout leaders made it feel fun and very safe." I cannot believe the Inspector has given approval for East Herts Local Plan and I am furious. In effect it only gives outline planning permission to Gresley Park, so full detailed planning permission is still required, which local people can oppose when the developers apply. I understand current plans are for 600 houses, up from 400 and 3 sets of traffic lights on Gresley Way. I am working alongside local Parish Councils and community groups, such as the Campaign to Protect Local Communities around Aston (PACE), to ask the Secretary of State to call-in the Local Plan. I accept that over 97% of the houses planned are not in my area, but we firmly believe the Local Plan is flawed. I published my objections during the Inquiry here. I have led the campaign for the Local Authorities in this area to work together and deliver a new Garden City to provide the much needed infrastructure as well as housing, and I have discussed this again with Ministers recently. They must work together to try and resolve our housing need once and for all. 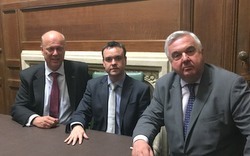 The Rt Hon Sir Oliver Heald MP and Stephen McPartland MP have met Rail Ministers again this week to keep the pressure on Govia. They understand the frustrations of passengers as they also depend on the services, which have just not been good enough.